The next simple answer is wait until the whole field is ready to go. As noted in our article Drought Induced Shatter, we are seeing areas across the Midwest where shattering is occurring. The general rule of thumb is 4 seeds per square foot = one bushel yield loss. At local cash prices surpassing $16.00 per bushel this is hard to see happen and not harvest. Furthermore, waiting will also lead to moisture loss in the field. As we learned last year, you do not get compensated for harvesting below 13% moisture. So….. If growers are concerned with shatter and/or other harvest losses the next logical approach is harvest ASAP. This opens a whole new can of worms. 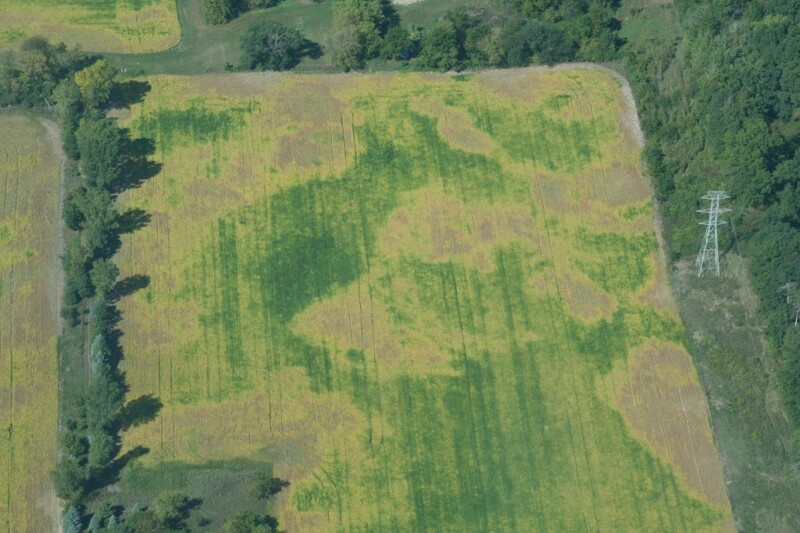 Harvesting ASAP will lead to a mixture of dry, wet, and immature (green) soybean seed. Be aware that if you harvest this mixture regardless of the ratio, your combine moisture sensor may not detect the correct moisture, be prepared for that initial shock when the elevator tests the grain. Next be prepared for the dockage. Most combines will leave more beans in the pod when they are wet or immature. These beans may end up on the ground or in the grain tank as unthreshed soybeans. Harvesting seed with this variability will be very similar to handling frosted soybean seed so discounts may occur due to moisture shrink, damage (green beans are considered damage), foreign material (this is usually higher when harvesting wet beans), test weight, and heating. If you choose on farm storage to address some of the dockage concerns please refer to Soybean Drying and Storage for questions. The last consideration I would bring forward is that the mature areas are likely going to be the low yielding pockets due to drought whereas the yet to mature areas will likely be the higher yielding areas within the field. So, in short, which yield envirnoment would you rather focus your time and efforts to protect?